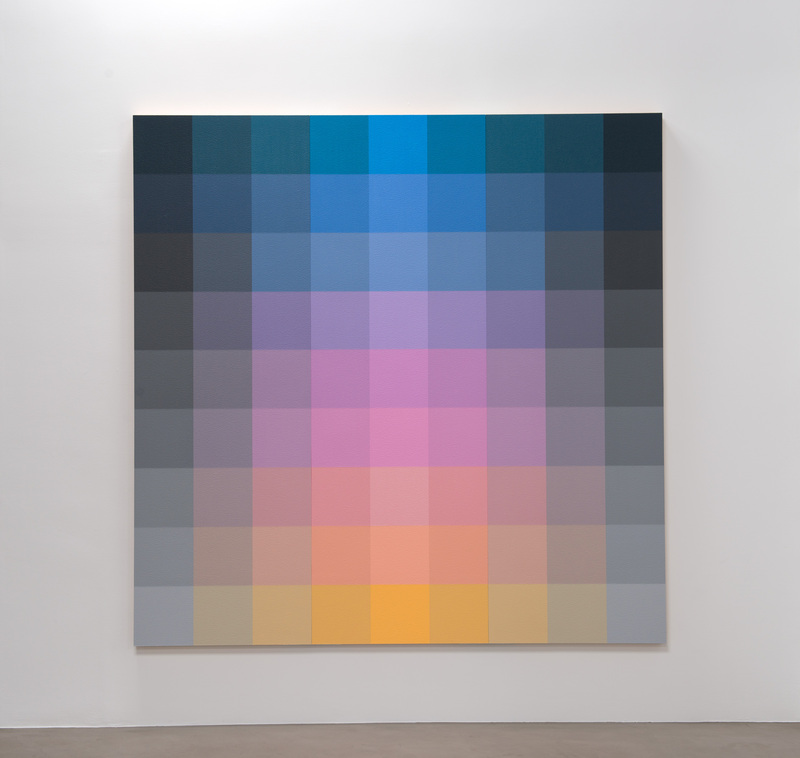 SANTA MONICA, CA—The Santa Monica Museum of Art is pleased to announce Robert Swain: The Form of Color, an immersive, site-specific exhibition grounded by the artist’s forty-five years of research into the phenomenology of color. 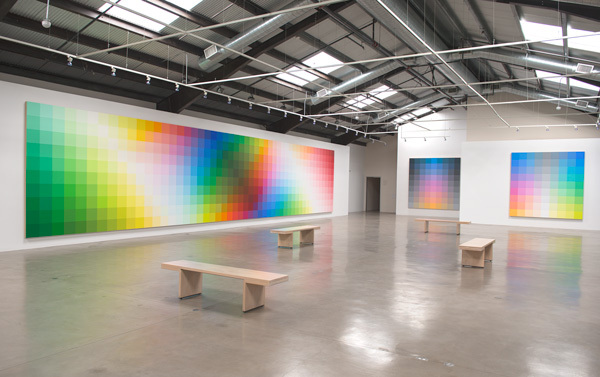 The Form of Color is Swain’s first solo museum exhibition in California, and is comprised of interlocking, modular paintings created specifically for the Museum and the quality of light in Santa Monica. 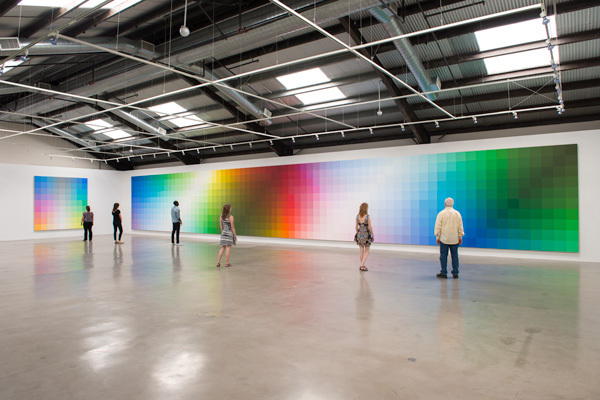 Each composition is made up of individual twelve by twelve inch squares of color, and measures up to seventy feet in length. 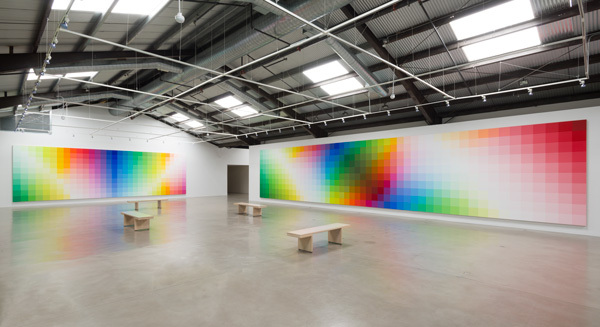 The result is an all-encompassing visual and physical encounter—a journey into the sublime. Robert Swain has devoted a lifetime to the study of color. 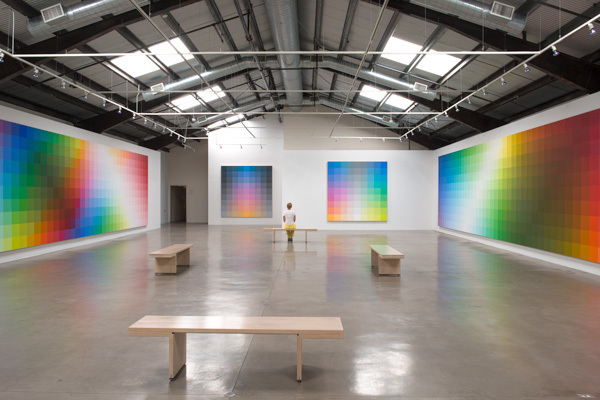 The work on view at the Santa Monica Museum of Art is a massive network of pure paint, a comprehensive survey of a color system the artist began to develop in 1973. 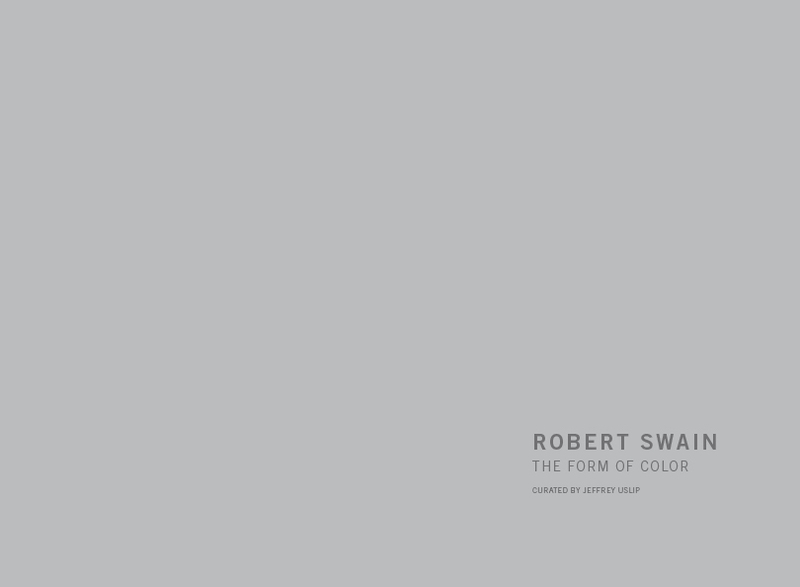 Swain’s color system is an index of 4,896 isolated chromatic units, accompanied by records of their evocative properties. Color has three attributes: Hue, Value, and Saturation. 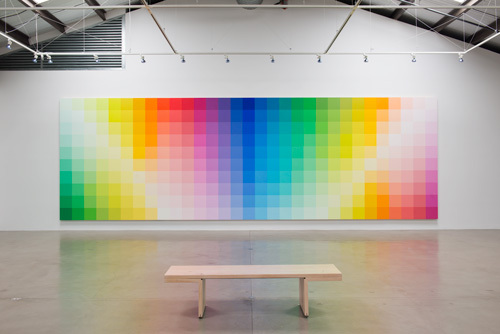 The multi-directional grids in The Form of Color, plotted according to value and saturation, are designed to intensify collisions and complements among hues and induce specific visceral responses. 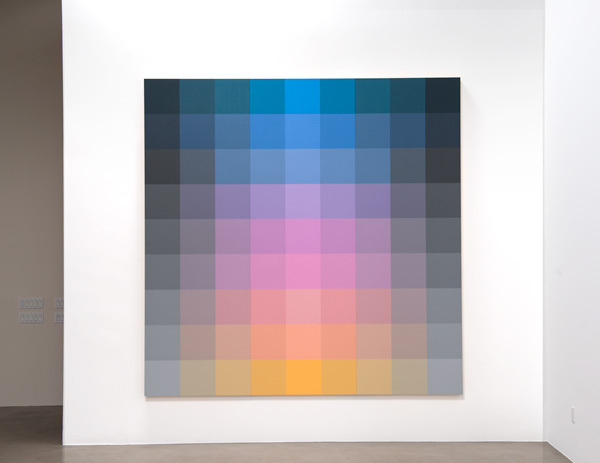 In Swain’s system, such responses take place when an individual pigment’s radiant energy—a factor of its wavelength in the electromagnetic spectrum—is transferred to the viewer. 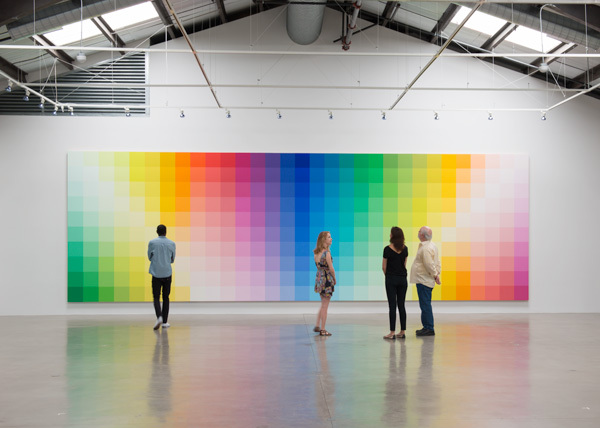 Color is a form of energy derived from the electromagnetic spectrum that stimulates perceptual processes and is instrumental in conveying emotions. 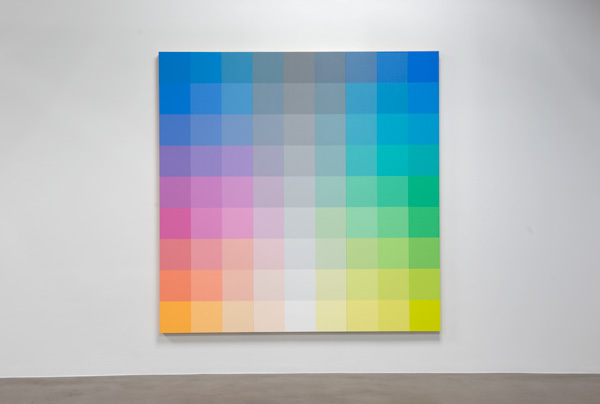 In some instances, color is culturally encoded, projecting content through symbolism or association. 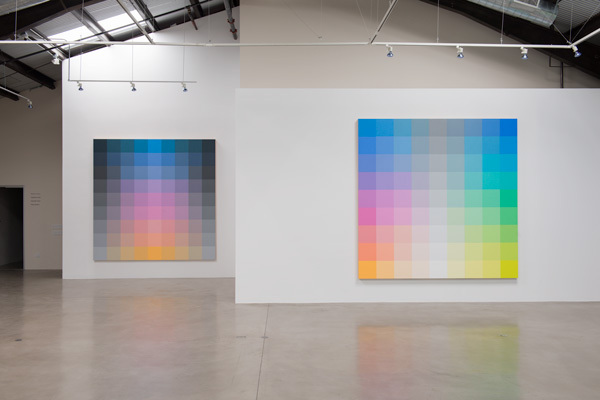 The origin for such references are found in the way that the energy (wavelengths), from a particular color, generates feeling; a physiological change produced by the wavelength (energy), of a particular color or colors. The energy that emanates from green is different from the wavelengths that define red. In some cultures, pure red is associated with danger. 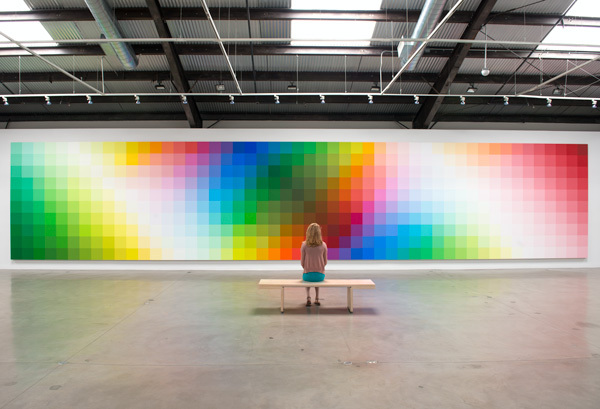 Feelings and attitudes created by the aggressive, radiate energy, which is unique to the red part of the spectrum. When pure red is altered, its emotional attributes change, as in the stability associated with red earth colors, or the whimsical fluctuation produced by pink. 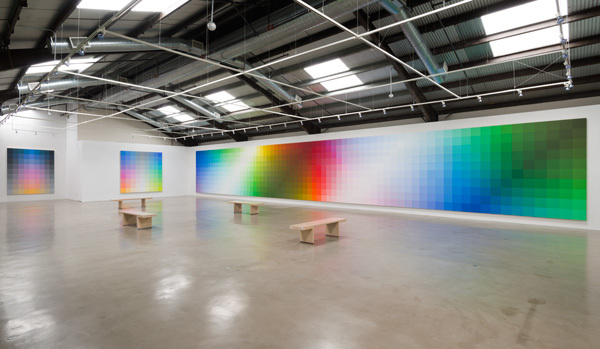 In this sense, color transmits feeling(s) through the perception of energy (wavelengths) from the electromagnetic spectrum. Freed from cultural restraints, red can be experienced by itself as a phenomenon, which possesses substantial content. 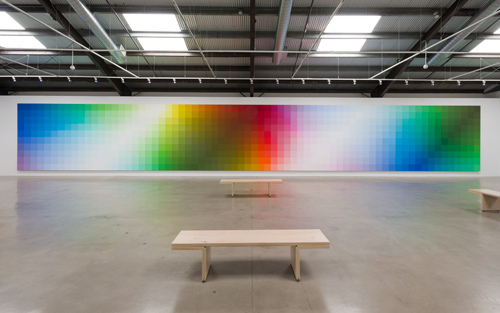 When red is placed next to green, the contrast is heightened and the experience resides in the energy generated by the convergence of these unique spectral wavelengths. When pure red is altered, its emotional attributes change, as in the stability associated with red earth colors, or the whimsical fluctuation produced by pink. 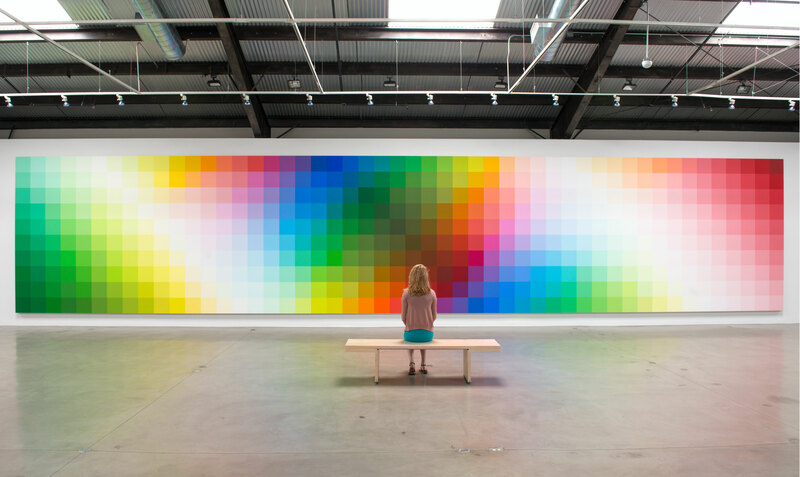 In this sense, color transmits feeling(s) through the perception of energy (wavelengths) from the electromagnetic spectrum. Freed from cultural restraints, red can be experienced by itself as a phenomenon, which possesses substantial content. 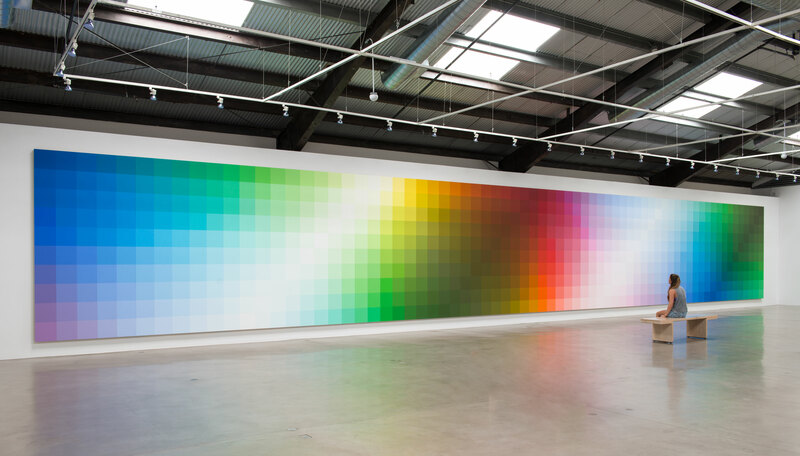 When red is placed next to green, the contrast is heightened and the experience resides in the energy generated by the convergence of these unique spectral wavelengths.